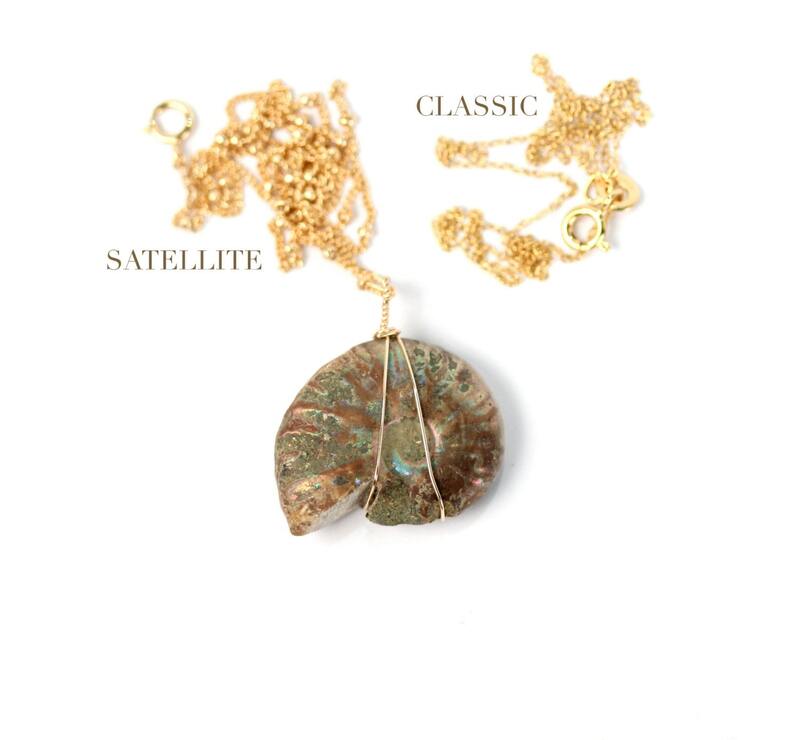 a 400 million year old, genuine, opalized ammonite shell is wire wrapped onto a 14k gold filled satellite chain. 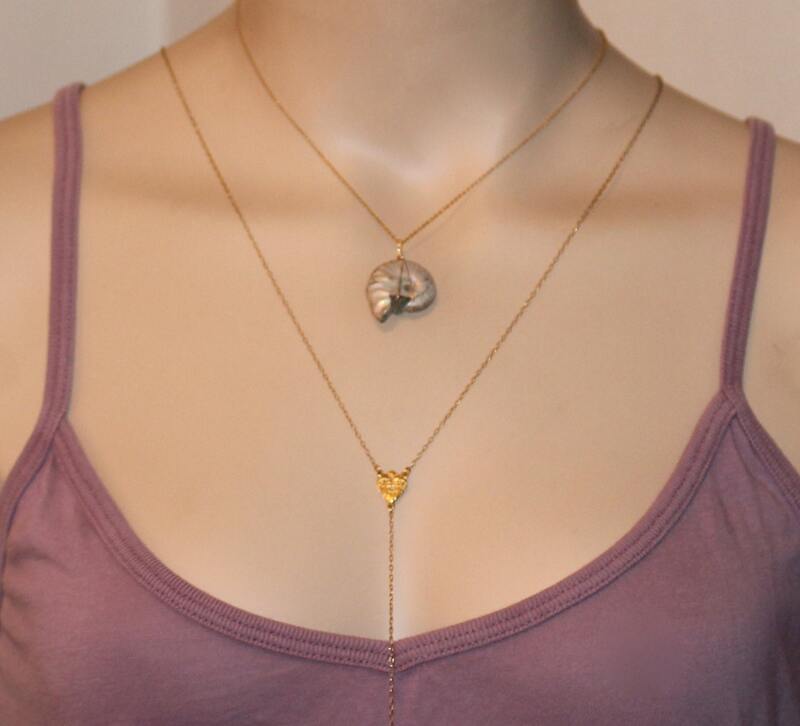 Also available on 14k gold vermeil or sterling silver chain at the length of your choice. 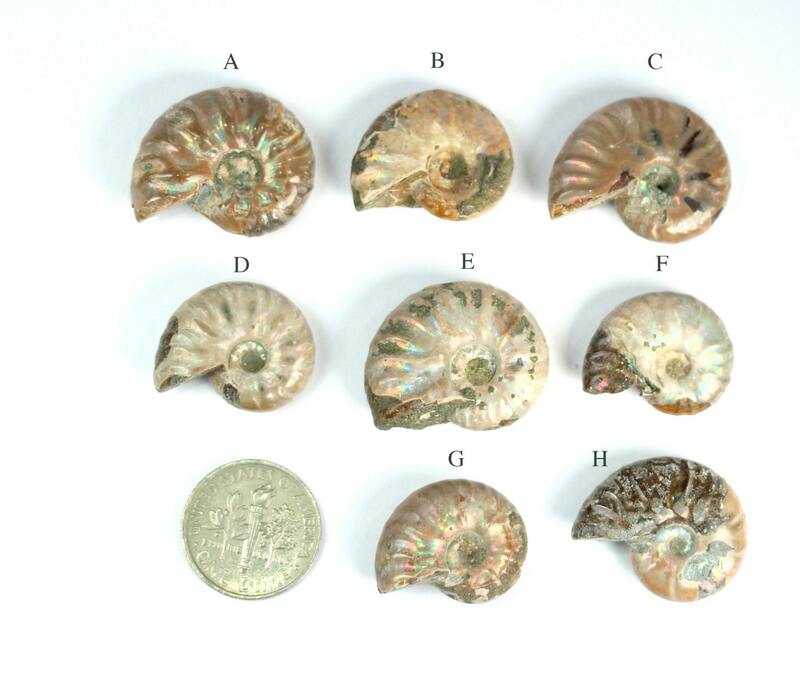 Please choose your favorite ammonite as shown in the fourth photo. Need a few reasons to love an ammonite other than for its beauty? Ammonites have a strong positive Earth energy to it, and is used in finding your way down the “spiritual spiral path” to the center where the God and Goddess await. It is also used in past life regression. 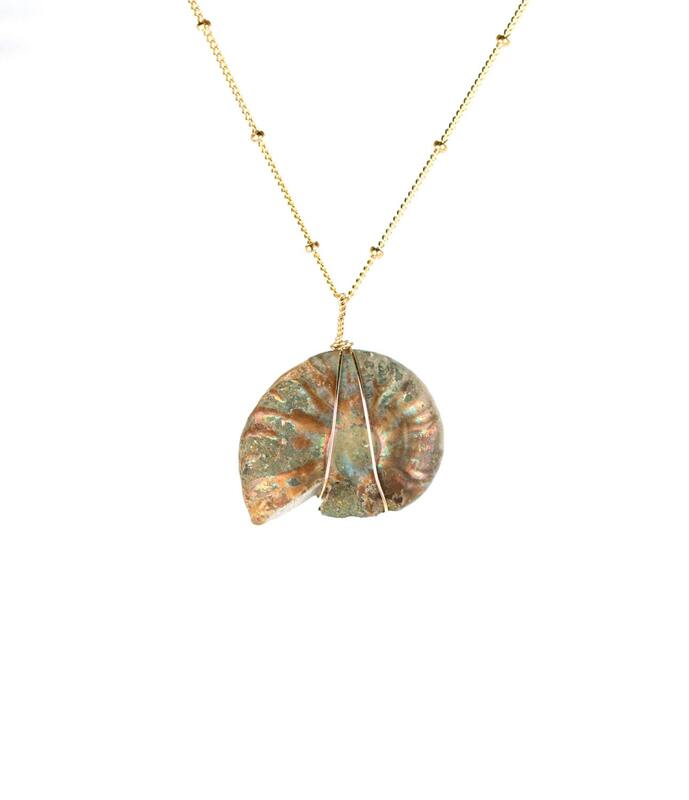 In healing, ammonite will assist with general good health, stamina and high energy. It can help transmute negativity to smoothly flowing energy. It will also assist during childbirth and will be helpful for general survival skills. 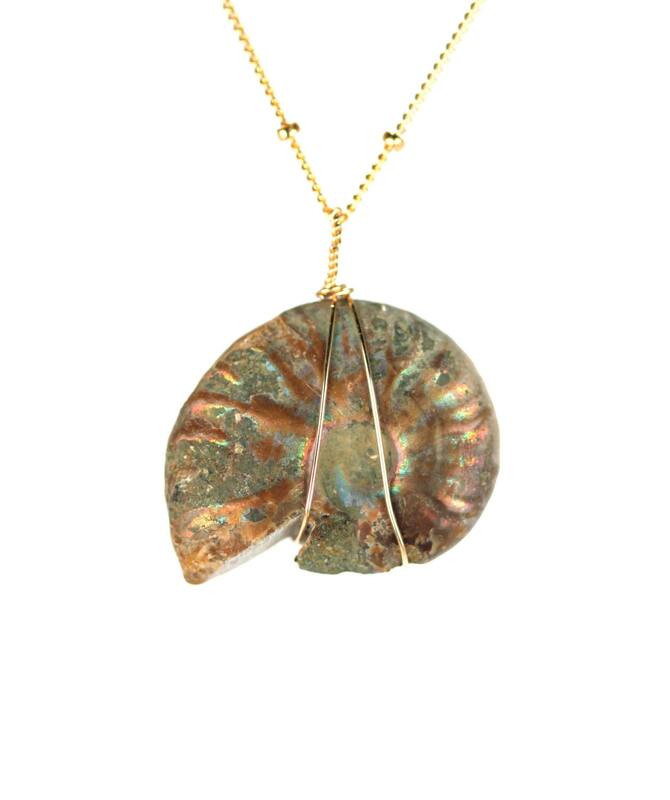 Ammonite can help release karmic debris and harmful thought patterns, while helping to attain and enhance personal power within the Self. This fossil is also helpful in releasing depression and finding purpose.